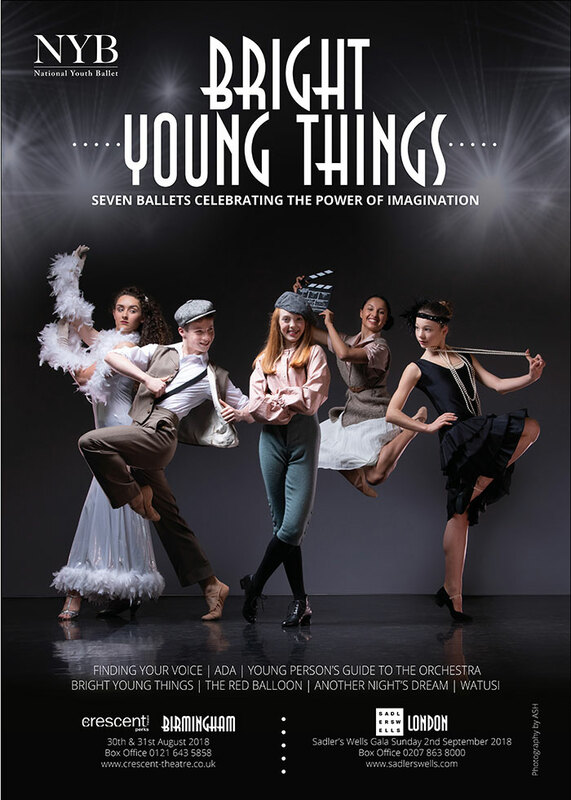 National Youth Ballet’s 2018 Season, Bright Young Things, will feature seven short ballets inspired by the lives of extraordinary people, and celebrates the power of imagination, and being bold, with ambition and flair. Performances will take place at The Crescent Theatre, Birmingham on Thursday 30 and Friday 31 August 2018, with a Gala performance at Sadler’s Wells on Sunday 2 September 2018. Two works from NYB’s repertoire will return for 2018; Antony Dowson’s 1950’s inspired classic Bright Young Things, and Janet Kinson’s Young Person’s Guide to the Orchestra. Alongside these will be five ambitious new works; Jo Meredith’s Finding Your Voice, following the life of 1920’s “It Girl” Clara Bow; Louise Bennett’s Ada, a ballet inspired by mathematician Ada Lovelace, Sophie Laplane’s WATUSI, a bold new work from Scottish Ballet’s choreographer in residence; Matt Nicholson’s Another Night’s Dream, a modern twist on Shakespeare’s much-loved comedy; and Emily Jane Boyle’s The Red Balloon, a new narrative ballet based on the 1950’s French film, to be performed by NYB’s Junior Company.